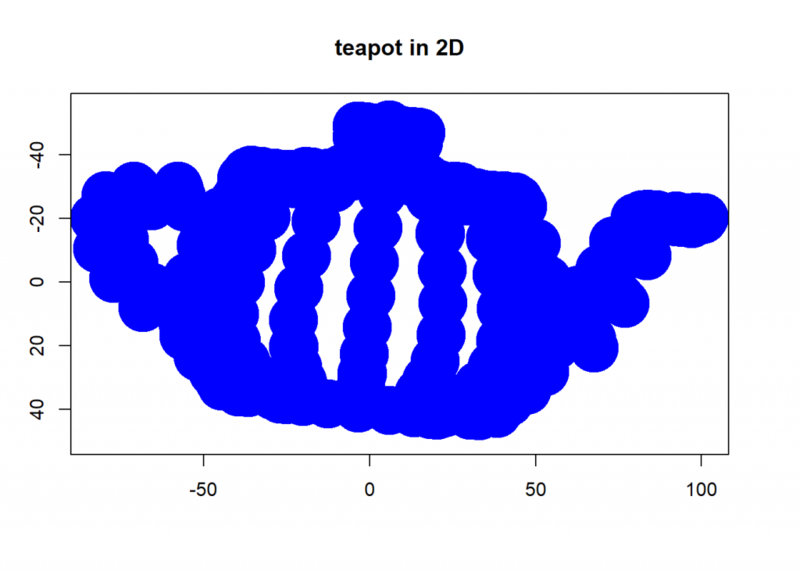 A total beginner’s question (to programming, not to statistics): How did you get the tea pot data into a csv file? Did you just copy/paste it? All of it or just the coordinates? I would like to replicate what you did. And also: thank you for this informative post! Most people have (understandable) trouble wrapping their head around PCA, and this post is nice break-down of the basic principles. Thank you for your positive feedback, I really appreciate it. It was basically just copy and paste (some of the other comments give details). The reason I don’t include the dataset for download is that I am not sure about copyright issues here. I had the same problem – where to get the data. So I went to the cited URL, and copied the entire Processing program. Then in an ASCII editor (BBEdit in my case) I removed the clutter above and below the array, removed brackets, changed commas into tabs, and pasted into a spreadsheet. Then one can either directly import the spreadsheet with appropriate R libraries or export the spreadsheet as CSV. 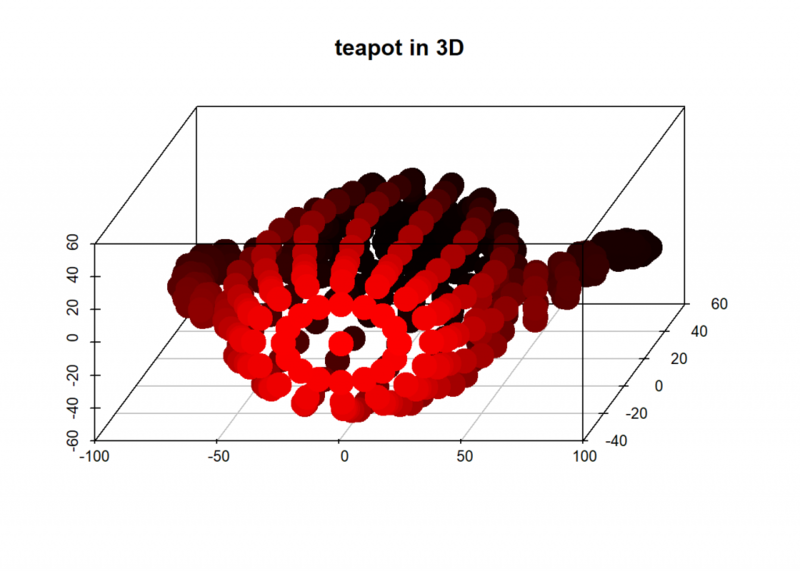 The conversion to matrix was easier given that format: dat = as.matrix(teapot). Thanks for a nice article helping my intuition here! Found my problem. I needed to make dat a matrix. Not sure what's going on. Maybe your CSV file was shaped differently? Previous Previous post: Why R for data science – and not Python?